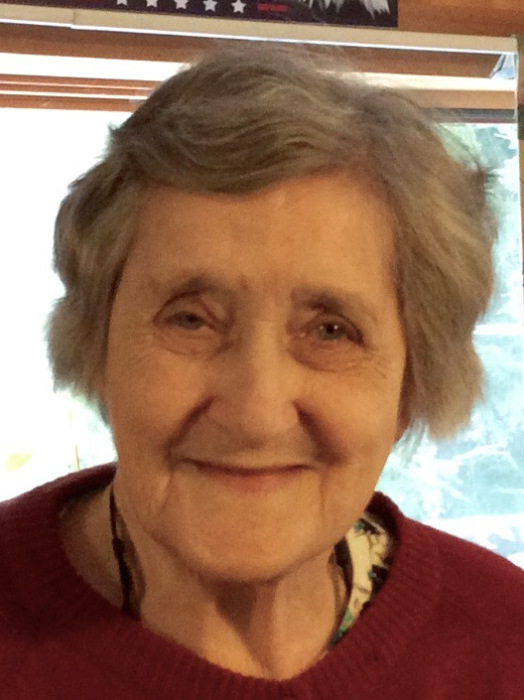 WINCHENDON - Gladys Eva Elizabeth (Trump) Gorts, of Winchendon, MA, died peacefully Saturday morning, March 16, 2019 in Alliance Health at Baldwinville, MA after a period of failing health. She was born in Talaton, Devon, England on December 29, 1921, daughter of the late Christopher John and Olive (Bambridge) Trump and came to this country at the age of 24. She and her late husband Rudolph Gorts (of Fitchburg, MA), who died in 1983, married in England during World War II. They built their present residence on Lake Monomonac in 1948, and Gladys became a citizen of the United States in 1957. Gladys graduated from a four year nursing college in Bath, England and worked for a time as a registered nurse at the former Burbank Hospital in Fitchburg. She later worked for 20 years at Digital Equipment Corporation in Maynard, MA as the Corporate Mail Manager. After the death of her husband, Gladys moved to North Powder, Oregon and married Leon Morrison in 1986. Leon died in 1988, and Gladys remained in Oregon until 2000 when she moved back to her home on Lake Monomonac. As a girl in England, Gladys was a member of the Girls Christian Society and the Church of England. With a strong devotion to God, she became a member of the First Congregational Church in Rindge, New Hampshire and was also a member of Eastern Star of Massachusetts Magdalene Chapter. Gladys was excellent in sewing, quilting, knitting, and crocheting, and has done work professionally. She greatly enjoyed spending time with her family. Always wanting to keep in touch, she had a Facebook account and would FaceTime daily with her family. She is survived by four children, Elizabeth K. (Lee) Fryer of Carnation, WA, Richard (Karen) Gorts of Elko, Nevada, Margaret G. (Michael A.) Morabito of Rindge, NH, and John Christopher (Cheryl) Gorts of Winchendon; cousin Nancy Trump (Frank) Clarke of England; six grandchildren (Robert, Melinda (predeceased), Ashley, Kirsten, Elena, Michael G.), 11 great grandchildren, 3 great great grandchildren, as well as nieces and nephews in the US and England. A memorial service will be held on May 28 at 11 A.M. in the First Congregational Church, 6 Payson Hill Road, Rindge, NH. Burial will be in Hillside Cemetery, Rindge, NH. There are no calling hours. Memorial donations may be made to the First Congregational Church, United Church of Christ, 6 Payson Hill Road, Rindge, NH 03461. There's still time to send flowers to the Memorial Service at the First Congregational Church of Rindge at 11:00 AM on May 28, 2019.